UAE Team Emirates gives a good performance in the British capital. Consonni was one of the major players in the World Tour race that hit the scene on the lovely stage of London today. 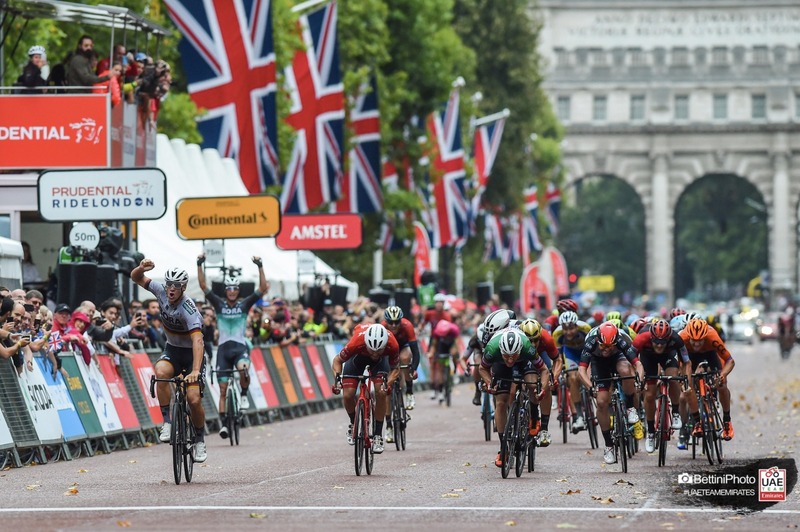 The UAE Team Emirates sprinter came in 5th over the finish line in the Prudential Ride London-Surrey Classic (187 km): the race ended up in a sprint on the straightaway down The Mall (photo Bettini), and German Champion Ackermann (Bora-hansgrohe) prevailed, beating Viviani, Nizzolo, Cortina and Consonni. Under the guidance of Mario Scirea, UAE Team Emirates raced astutely in the group, doing a great job of leading Consonni along the tortuous roads of Surrey, which were rendered even more insidious by a steady rain and strong winds. “Fifth place is a good result, especially because I was returning to road races a month after my last race, which was the Italian National Championship,” explained Consonni. “The wind, rain and narrow roads required the utmost vigilance all day. There wasn’t a lot of selection but in any case we made it to the final straightaway without much energy in our legs. 2 Elia Viviani (Quick-Step Floors) s.t. 3 Giacomo Nizzolo (Trek-Segafredo) s.t.